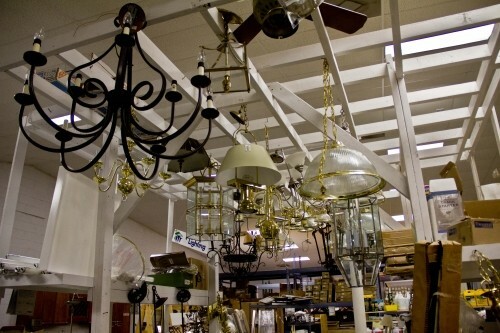 Light up your life with the TONS of lighting options we have. The ReStore is the ongoing and active fundraising effort of Hanover Habitat for Humanity that sells new and gently used appliances, furniture, home dÃ©cor, building materials, lighting and more. All of our proceeds go to our support of mission of building homes in the local Hanover community. The ReStore is open Monday thru Saturday from 9AM until 5 PM. We are always looking for donations so if you're remodeling, moving, or changing your style, give us a call to schedule a free pick-up and give your old stuff a new home.